Less than 30 minutes to make the best mashed potatoes in the world (or you could say in your world)! Yes, you read that right. 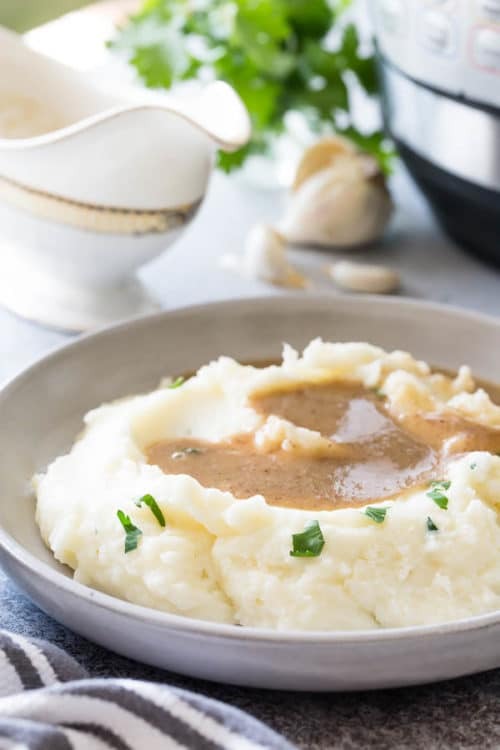 We’re making perfectly fluffy Instant Pot Mashed Potatoes with options to customize it to your liking. Read on for my tried and tested tips and tricks for fool-proof fluffy mashed potatoes every time! Wash and peel the potatoes. (Peeling is optional.) Cut the potatoes into chunks for even cooking. Add 1 cup of water (or low sodium chicken stock) and salt. Add milk, butter, pepper and garlic powder. (No need to drain the liquid.) 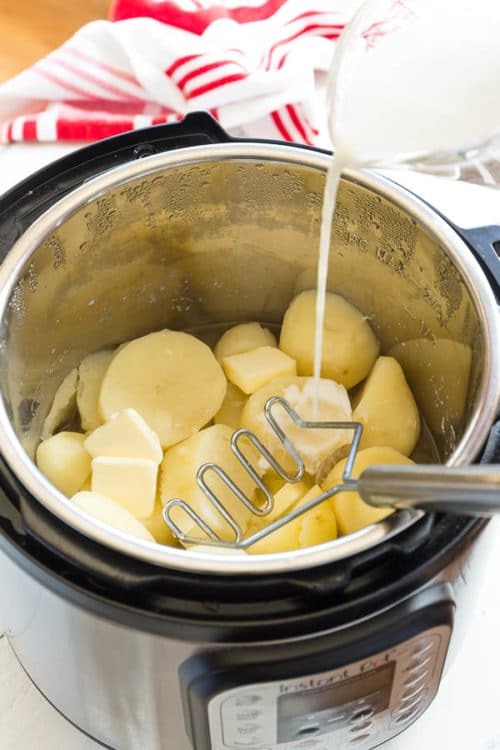 Using a potato masher, mash the potatoes into a smooth texture. 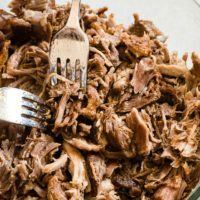 If not serving right away, cover the Instant Pot and set it to “Keep Warm”. 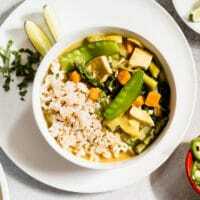 You can double this recipe without any adjustments to liquid amount or time. 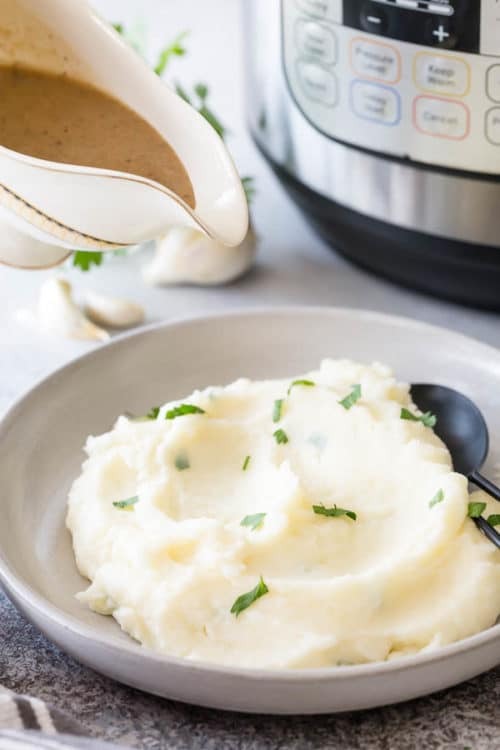 Not only does it take less than 30 minutes to make perfect mashed potatoes in Instant Pot, you can also keep the potatoes warm, if you’re not serving it right away. Plus, just ONE pot is required!! 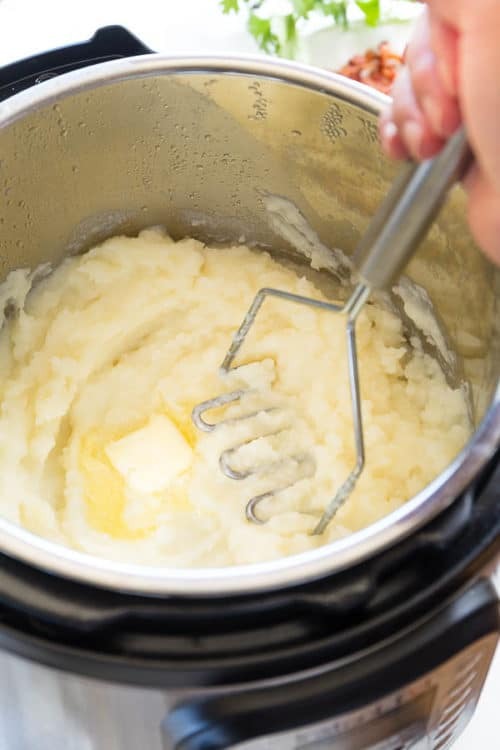 You can make fluffy mashed potatoes without using an electric mixer. Russet potatoes yield the fluffiest mashed potatoes, but because they’re drier potatoes they require more milk/liquid. 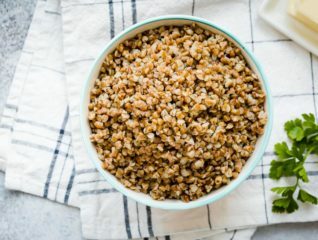 I’ve tested this recipe multiple times with different water amounts and came to conclusion that 1 cup of water is the perfect amount for 6qt Instant Pot. No need to drain the liquid once potatoes are cooked. 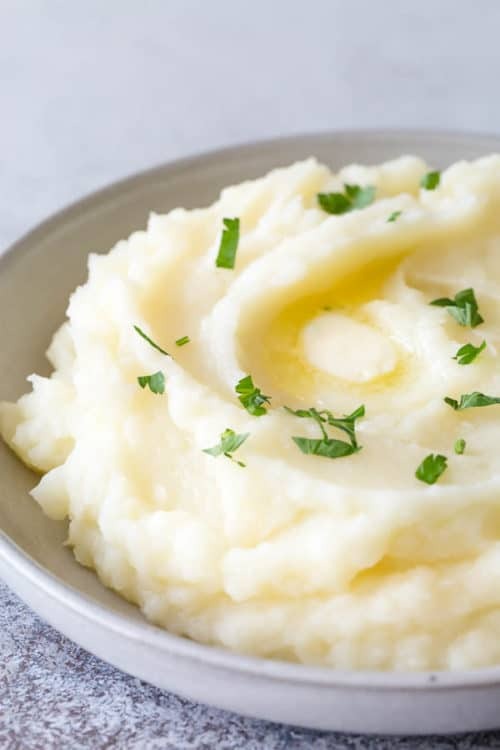 Read on for more tips to make the best mashed potatoes! You’re stirring potatoes too hard and too fast, overworking potato starches and making glue-y mashed potatoes. This mostly happens when you use an electric mixer. Better options are trusted potato masher or a potato ricer. You’re not mashing the potatoes right away when they’re hot. Cooled potatoes don’t mash into creamy smooth texture, they turn out lumpy and glue-y. 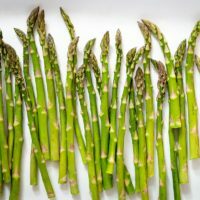 You’re skimping on fat. Butter adds that luxurious richness to mashed potatoes. Don’t skip it! Nothing beats butter, but if you’re out of butter, use heavy cream in place of milk and add mayo, or cream cheese. You’re not salting water when cooking potatoes. When you cook the potatoes in salted water, you’ll need way less salt later on, and the mashed potatoes will be so much more flavorful! You’re using wrong variaty of potatoes for the consistency you want. Do you want creamy mashed potatoes or fluffy? Choose the potatoes wisely. Read on and find out what type of potatoes to choose. What kind of potatoes to use for mashed potatoes? 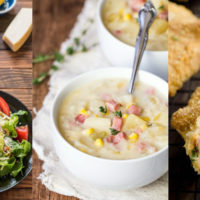 I believe any kind of potato will work for mashed potatoes, but depending on your desired mashed potatoes texture, you may choose one variety over another. Russets or other high starch potatoes, like baking potatoes, yield fluffier mashed potatoes. Red potatoes are waxy and low in starch, and they make creamier mashed potatoes. Yukon gold and long white potatoes are medium in starch. Don’t forget to salt the potatoes before cooking! Warm up the milk before adding into the potatoes for fluffiest mashed potatoes. 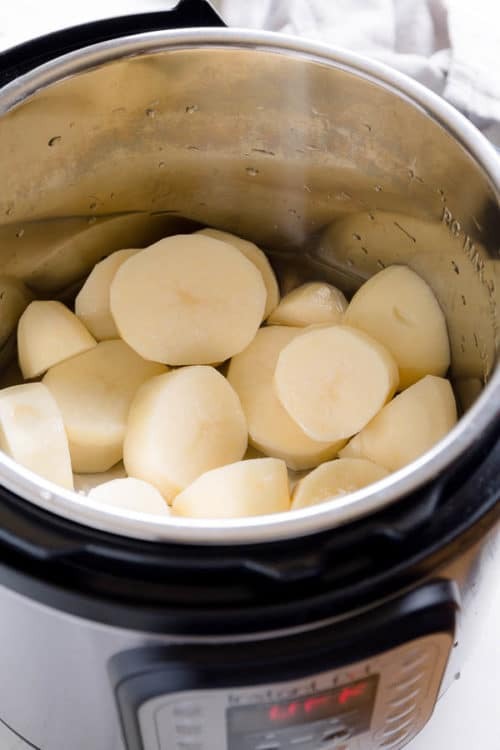 Mash the potatoes right in the Instant Pot and set it to “Keep Warm” while you work on other dishes before serving. No butter? No problem. You can use heavy cream in place of milk and butter. Or add mayo, or cream cheese. To make tangy mashed potatoes, add about ¼ cup buttermilk. 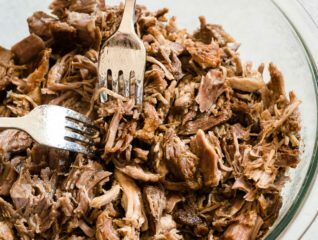 For a nice kick, try adding a little bit of horseradish. 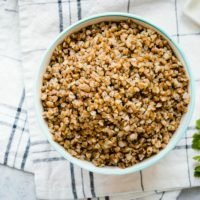 Start with 1 tablespoon and add more to taste. To add extra richness, add couple tablespoons of mayo. For extra indulgent mashed potatoes, add some shredded cheddar cheese. For color and more flavor, add fresh herbs. 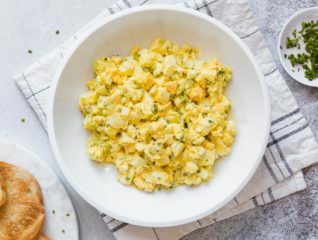 Can I freeze leftover mashed potatoes? Yes, you can!! The key is to heat the leftovers all the way till it’s bubbling hot. The biggest complaint of thawed mashed potatoes is grainy texture, or runny mashed potatoes. But if you microwave it till it’s bubbling hot and stir it well, it’ll be good as fresh one. 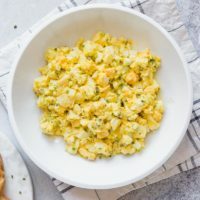 I love that it is so easy to make! Yummmy!